Living with a chronic medical condition like Sickle Cell Disease is a very tedious balancing act. There are several variables and too many moving parts which make staying healthy almost impossible. Every action must be taken with complete consideration of its potential to cause illness or affect health. Will it rain tomorrow, will I have a crisis this evening, will the Avascular Necrosis start acting up, will I need a blood transfusion next week, will I have to cancel our plans because I suddenly fell ill, will I be on admission during my graduation? Living with this disease leaves you with so many unanswered questions, you cannot help but resign yourself to living each day to the fullest and making it count. Who knows, tomorrow just might be another bad pain day. It is a continuous effort to stay healthy and have more good days than bad. It is taking routine drugs like folic acid and having medical appointments when you are not sick, staying hydrated when you are not thirsty, staying warm when you are not cold, eating healthy when you really don’t feel like it, missing a lot of work and school through no fault of yours and constantly playing catch up to stay at par. It is a daily struggle to be well enough to function at your full potential. This was a 4 day trip within the country, but I had to consider all these in addition to making sure that I did not forget to pack my toothbrush and body lotion. For this trip, I had it all figured out. All unknowns were considered and contingency arrangements made. I needed warm water to bathe, I stated this categorically. Warm water (Sickle Cell Disease), just in case anyone thought I was being fussy. On my arrival at the meeting point for the journey, that was one of my first questions. Will I have warm water to bathe? I was assured I would, and I was glad. On arrival at our destination a gas cooker had been set up and I knew I could finally check that off my list of unknowns. The packing process was a meticulous exercise in staying healthy. I was leaving no stone unturned. Insect repellent, check. No I was not about to allow myself to get malaria. Warm clothes, double check. I was packed for a temperate climate, but no, I was still in the tropics. Sweater, socks, scarf, heavy clothes, I even carried my blanket along. Of course that made my luggage bulky, but the inconvenience was a price I was willing to pay for my health. Falling ill was not an option. Hot water bottle, check. Massage ointment, check. If I was going to end up in pain, I was certainly going to be sure to have a remedy. Medication, triple check. My personal stash was probably enough to provide first aid for the entire team. Oral rehydration salt, folic acid, a variety of analgesic medication ( paracetamol, tramadol, diclofenac) etc. Oh I wasn’t leaving anything to chance. Water, check. Umbrella, check. Did I leave anything out? I seriously doubt it. This was a battle I was ready to win. Preparing for the unexpected. What is in your luggage? It was cold and rainy, a person living with sickle cell disease’s worst nightmare. I had placed myself in a situation that could precipitate a crisis at any moment. I wasn’t exactly prepared for all that rain. Our room was cold, our mattresses were wet. More variables to contend with. I certainly was not prepared for wet mattresses. This rain was going to be a problem. I got into “Eskimo mode” fast. Knee length socks, sweater, blanket and bed sheet. This was war! But I came prepared didn’t I? Mosquitoes? Not that I could tell. But there were bugs. A lot of bugs. I wasn’t about to get bitten, oh no. Not a chance. Bring out insect repellant. Apply, keep applying till the bugs find u toxic. The night was cold, I could barely sleep, my right arm had started aching, but I was definitely going to get ahead of it. I massaged it calmly (without the ointment because it has quite a strong smell). Trying to prevent a crisis did not mean I was allowed to precipitate an asthmatic attack in someone else, Lord knows I would have had to manage that too. Bath time the next morning and I had one request. I need my warm water, a lot of it. I got enough to share with another volunteer. All set for the day, jeans trousers, a blouse, scarf, umbrella and a 1.5 litre water bottle handy. I was ready. After breakfast of course, medication time. Medication time is a constant. “Don’t forget to take your folic acid” and “have you taken your folic acid” are a common greeting in my house. It was cold and rainy that evening, but I had my scarf and umbrella for protection while out of our “hostel”. I was sorted. On day 2, alternate accommodation arrangements were made for my team and I. This room was much warmer, there were no bugs and most importantly, on request, I had a kettle provided for warm water. This was going to be a successful trip. And then it happened, out of nowhere, without warning. It was the morning of our journey home. Crisis! I was not amused, not in the least. Excruciating pain, crying, even. Out came my emergency stash. First tramadol, because paracetamol had not brought any relief so far. Next, the bulky blanket, staying warm was essential, then the hot water bottle, we needed to soothe the pain at least. Drink as much water as possible, staying hydrated would definitely help. Of course for an 8 hour journey by road, drinking that much water would be problematic, but we had to get ahead of the crisis. After about 4 hours, the pain was still severe, better but about 8 out of 10 on the numerical rating scale. Yes sometimes better can be that severe. Again to the emergency stash, 75mg diclofenac and even more water. Plan, report to the nearest hospital on arrival in Accra. It ended up being the Sickle Cell Clinic in Korlebu the next morning. This experience, really is not strange. 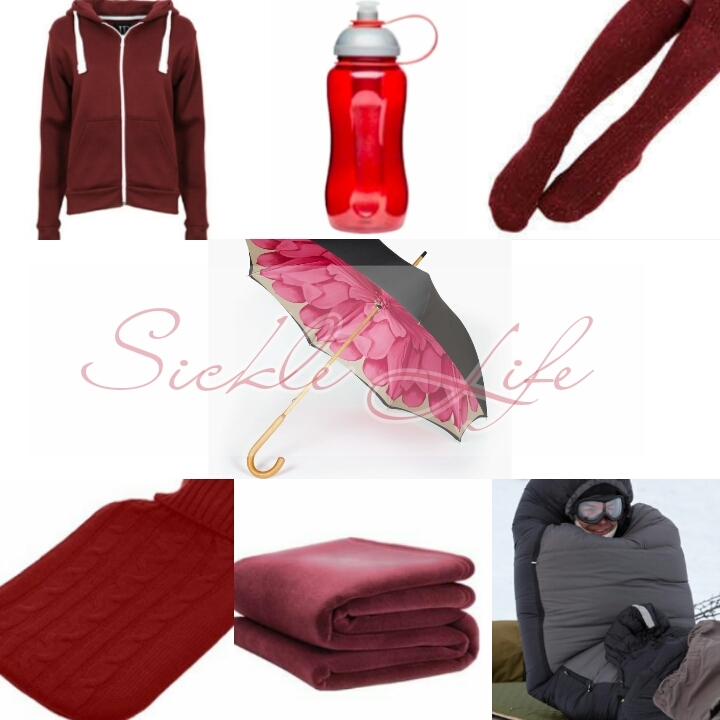 It is about as normal as it gets, living with sickle cell disease. No I was not the person in pain but it could very well have been me because I was also exposed to the things that precipitated the vaso-occlusive crisis in this volunteer. My colleagues and I managed the crisis on our way back following simple medical principles and using the things I had packed for myself in the event that I had a crisis on the trip, which again emphasizes the need to stay prepared if you or someone you know has Sickle Cell Disease. One minute you are fine, participating in activities, interacting with others, next minute you are in severe pain and having difficulty breathing. This switch from healthy to pain at 8/10 happens so fast and so often it is ridiculous. It is our variant of normal, probably one of the reasons why persons living with sickle cell disease are often considered lazy or flaky. Crises sometimes come slowly with enough advance warning to prevent a full-on crisis but other times they sneak up on you and just mess up all your plans. What can you do? Prepare! Prepare to prevent pain, prepare to fight it if it occurs. Know what precipitate crises in you and avoid them. Continue routine medication wherever you go, stay hydrated whatever the circumstances, keep warm always. Just keep doing the basics and stay healthy the best way you can. It is understandable that parents of persons living with sickle cell disease might opt to exclude them from many activities because the variables cannot always be predicted and controlled. However it is important for persons living with sickle cell disease to experience a wide variety of activities, within limits, of course. With adequate preparation and planning you or your child living with sickle cell disease can live a “normal” life. Just consider all variables and work to limit their effect. Written by: Dr. Sefakor Enam Bankas. Dr. Bankas is a a person living with Sickle Cell Disease and a Sickle Cell Disease advocate. She is the founder of Sickle Life. Please submit your article by email to sicklelifemd@gmail or fill our article submission form. This entry was posted in Blog and tagged Ghana, health, sickle cell disease, Sickle Life. Bookmark the permalink.